It’s a given that your Drainac and your lab evaluations of freeness won’t agree. This is just the statistical nature of the beast, so to speak – and it’s true, I might add, for each and every instrument in your mill. “Why”, you ask, and it’s a good question. In the case of freeness, you have to remember that lab evaluations of freeness are completed using some version of the TAPPI 227 method. I say “some version” because it’s a reality of daily mill life that almost no-one actually executes the TAPPI method according to the instructions in the method. Most labs will use some kind of shortcut. I can’t blame them, really… the TAPPI 227 method has a lot of steps in it and it takes forever to finish a test if you do it the way they say you should. So, most labs will use a version of the TAPPI method and the Drainac uses something else. We don’t utilize the TAPPI 227 method in our instrument because, well, the TAPPI 227 method really isn’t that good of a test (this is true, incidentally, for other manual methods of assessing stock freeness, like the Schopper-Riegler approach). If you’ve ever heard of the skepticism that most paper makers have for the reliability of manual freeness tests, you know why. There are a lot of advantages if you don’t use the TAPPI method. It’s because we do things differently that we can analyze samples so quickly (30 seconds!) and why we don’t have any moving parts in our system (which makes us the easiest system to maintain) and why we are the simplest system available in the world, but I digress. Because we don’t do TAPPI 227, the Drainac doesn’t produce a CSF number. Instead, we produce a number that reflects how fast your stock will drain. This “Drainage" number is proportional to CSF freeness and, because it is proportional, you can build a mathematical relationship between the two independent assessments of freeness. This is the “Calibration” that everyone is always talking about. Because the lab and the Drainac use two different methods to assess stock freeness, you can bet that there will always be some difference between the two. The statistics associated with a calibration tells you just how much deviation you can expect to see on a day to day basis and when you should get excited about that difference. More importantly, the statistics tell you when you shouldn’t get excited at all. What do I mean by that? Well, every calibration regression produces an estimate of the average error inherent in that calibration, based on the data that was used. This is the “Sigma” (σ) that you may have heard of, and it is a very handy number to have in hand. Assuming you’ve built your calibration properly, the statistics say that about 95% of the time, the deviation between the Drainac and your lab should fall within plus or minus two sigma (2σ) of each other. That means that 19 out of 20 times, you shouldn’t get excited if you see a difference of up to 2σ. 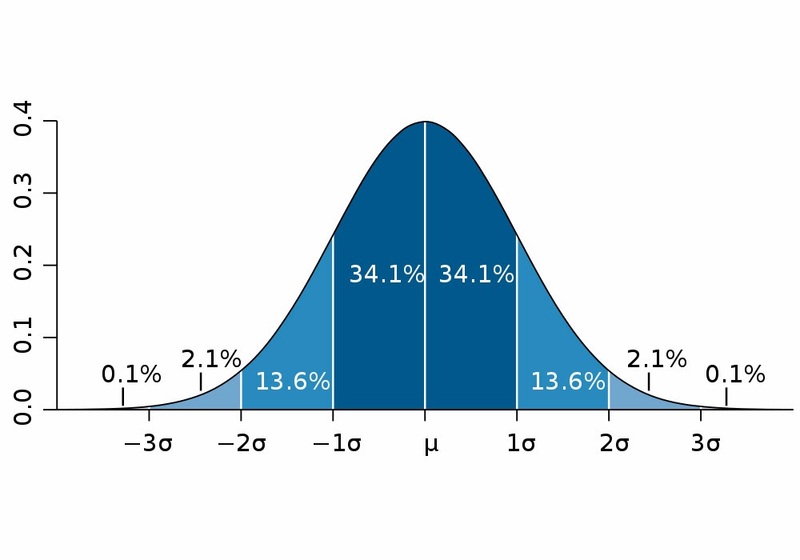 It also says that 5% of the time, or once out every twenty samples, you can expect the deviation to exceed 2σ, and you should still not get excited. mathematical relationship between your lab results and the Drainac output, you also get statistics which tell you how much faith you can put into that relationship. This last point is probably the most important aspect of any calibration, but it is also, unfortunately, what most people forget to take into account when comparing their lab numbers to the instrument. People who get excited want to change things and the statistics tell when you’re justified to start thinking about making changes and when you really should leave things well enough alone. This is the way it usually goes: The lab runs a sample and somebody notices that the Drainac and the lab are saying different things. “Oh, boy!” says the Somebody, “We can’t have that!” and immediately calls up the overworked E&I team. “The Drainac isn’t matching the lab results”, the Somebody says. “Get out there and make it read right, would you?”. He really, really, really shouldn’t have done that. It’s premature for the E&I tech to make any adjustments to the Drainac at this time. What the E&I tech should have done is to first check the deviation of the Drainac and Lab against the calibration 2σ. As I mentioned earlier, assuming the calibration was done properly, 19 times out of 20, the deviation will be under 2σ. If the deviation is, in fact, under 2σ, then the E&I tech is finished. Everything is working as it should and nothing should be changed at all. Even if the deviation happens to exceed 2σ, the calibration statistics tell you that should expect to see that about once out of twenty times. Most of the time, you should wait to make a change only when you see that the deviations consistently exceed 2σ. When deviations do exceed 2σ, don’t assume that the Drainac is the problem. Remember when I said earlier that the TAPPI 227 isn’t a great test? Well, it isn’t. 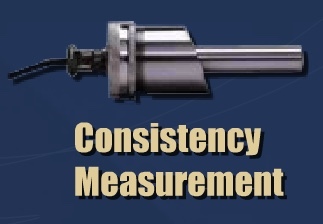 The repeatability of that test stinks, and that’s when you do it according to the published method. It stinks even worse when you take shortcuts and frankly, most people do. Just how bad is it for your case? That depends on what your lab people do. I always recommend that you run a Total Error of Variance test (TEV) to determine just how much faith to put into their lab results. The TEV is a sort of a poor man’s Six Sigma evaluation. It gives you an idea of just how much variability you can expect from your lab on any given day. So, let’s say that you’ve done all that. You have a calibration with a defined 2σ. You’ve run a TEV on your lab and you know what to expect from them. Now, you’ve got a series of numbers that tell you that something is going on and you’ve concluded that the Drainac is the problem. It’s time to make some adjustments to the calibration, right? It’s time to check the Drainac. Clean it. Inspect it. Look for problems. Check the various operating pressures. Do all of the things that you need to do to make sure that the Drainac is functioning properly. Let’s say that you’ve done all of that, too, and that there is still an unacceptable deviation between the Drainac and the lab. Probably the best thing to do at this time is to rerun the calibration, but if you don’t have the time to do that at the moment, you can simply shift the output of the Drainac by adjusting the BIAS of the Compensation Variable. The Compensation Variable (COMP VAR) is a general input that you can use to apply a correction to the Drainac for some external process parameter. Most people never use this feature of the Drainac, but the BIAS component of the compensation variable is a handy way to add or subtract a number from the freeness output of the Drainac. To adjust the bias, enter configuration mode and scroll to the COMP VAR parameter. Once there, scroll through the various attributes to get to the BIAS screen. Enter your desired offset value, either positive or negative, in the same units that the system is configured to output. Your Drainac system will now adjust its output. Keep in mind that this is a stopgap only, you should plan to rerun your calibration if your deviations persist above 2σ. Also, please remember that TECO is a resource for you. We are always happy to regress your data for you and tell you what your 2σ is for your calibration. We can also send you a spreadsheet which you can use to run a TEV on your lab.